Outbound: the official cocktail of summer — The Old Town Alchemy Co.
After much debate, we've decided on the 2010 Old Town Alchemy official cocktail of summer. Shake all ingredients with ice and fine-strain into a chilled martini glass. 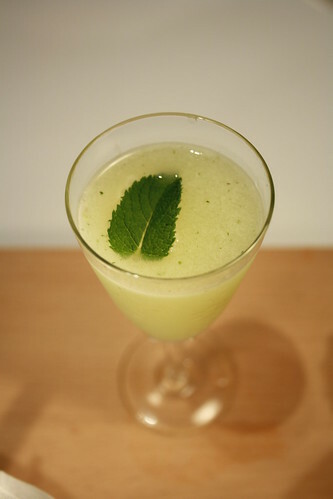 Garnish with a single mint leaf. Diageo have crowned Erik Lorincz from London's Connaught Hotel as their World Class Bartender of the Year for 2010. Second place went to Do Hwan Eom of the Ritz-Carlton in Seoul, South Korea, with (cocktail blogger and all round nice bloke) Max La Rocca from Sheen Falls Lodge Relais and Chateaux in Kerry, Ireland. Congratulations all round. NYC's Painkiller turn their tiki-research eye toward the Pina Colada. Not boozy, but still a wonderful piece - the Last of the Seltzer Men. Red wine just keeps getting better for you. Age statements - yea or nay? What could lead to a beer "as bitter as the mood in Cleveland"? LeBron who? Posted on July 20, 2010 by Jon and filed under Links and tagged 42 Below 42 Below Feijoa cocktails competitions Diageo mint World Class 2010.